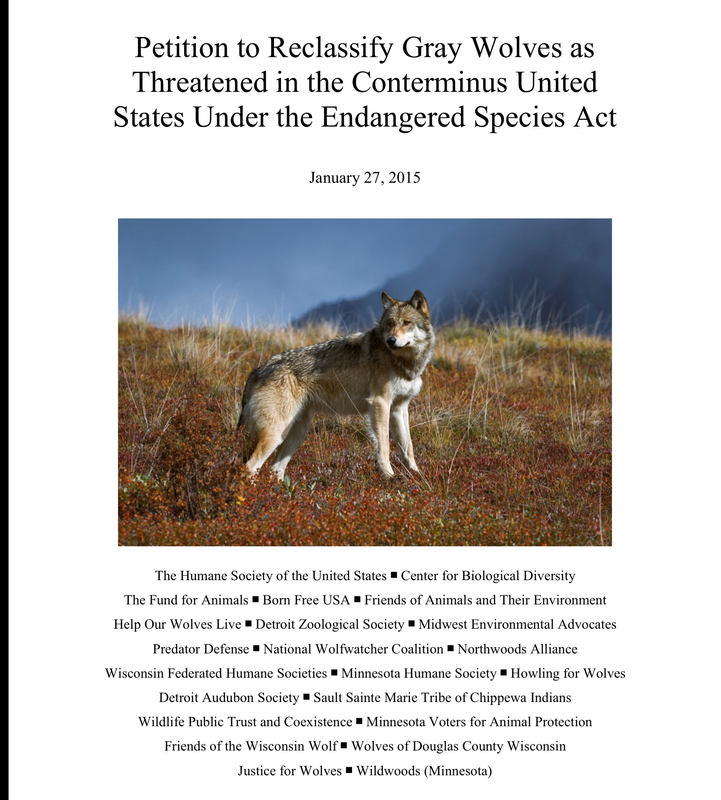 Wolves of Douglas County Wisconsin signed onto this proposal. WODCW believes this threatened status will give non-lethal opportunities to address concerns regarding wolves with livestock producers and maintain the health of wolves. WODCW believes wolves should remain healthy, wild and not harassed from trophy hunts. 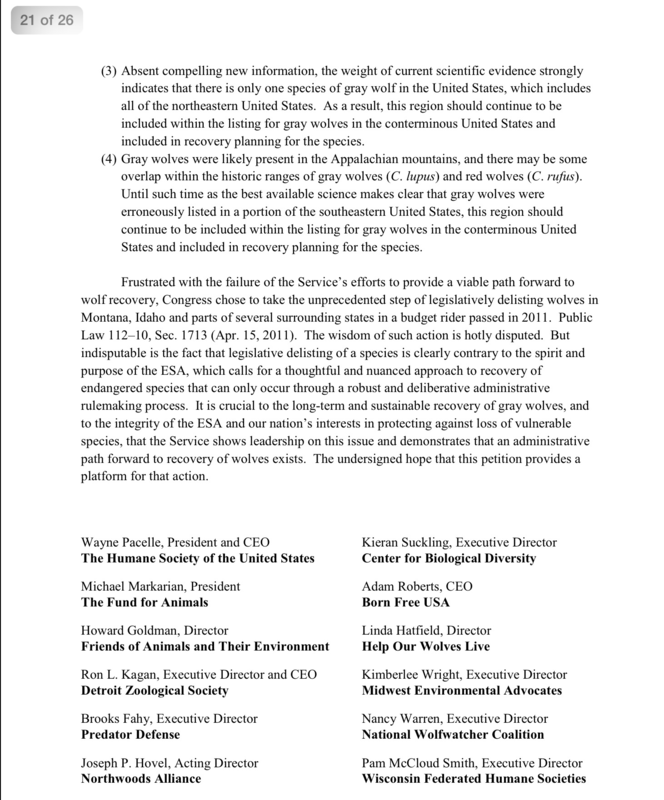 “Animal protection and conservation organizations petitioned the U.S. 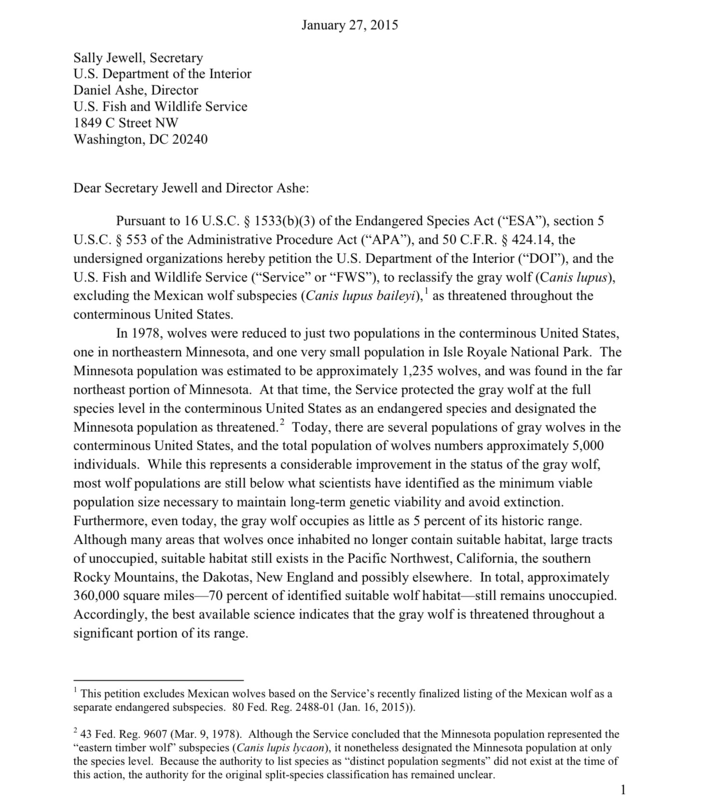 Fish and Wildlife Service to reclassify gray wolves under the Endangered Species Act as threatened throughout the contiguous United States, with the exception of the Mexican gray wolf which remains listed as endangered. 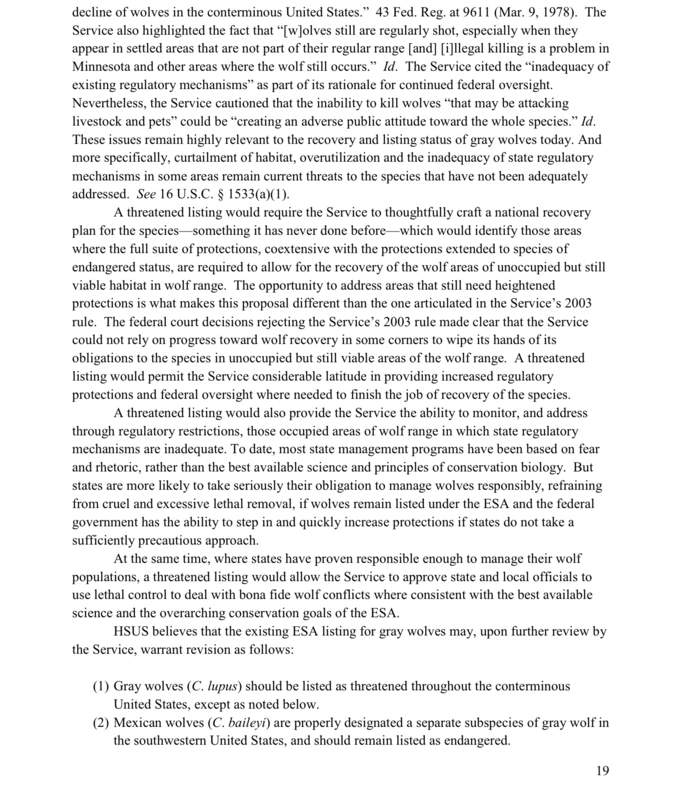 If adopted, the proposal would continue federal oversight and funding of wolf recovery efforts and encourage development of a national recovery plan for the species, but would also give the Fish and Wildlife Service regulatory flexibility to permit state and local wildlife managers to address specific wolf conflicts.” End quote. We love ❤ wolves and advocate 24/7 . States don’t manage wolves, they mismanaged by slaughtering them. Thank you for letting us know this and we will check into it. This is a Wisconsin Conservation Committee meeting. This is not a DNR meeting. It’s advisory through citizens. I don’t see where they will be discussing threatened status of wolves? Unless you have information that isn’t on the meeting agenda? Wow! At last I got a web site from where I be able to really take helpful data regarding my study and knowledge. you could be a great author.I will be sure to bookmark your blog and will come back later in life. Trapping is NOT a constitutional right. Stop HB 212!